The 28-year-old wide receiver agreed to a deal with the Cowboys, the team announced on Tuesday. Per NFL Network’s Ian Rapoport, the deal is for one year and $5 million. Cobb spent nearly a decade as one of Aaron Rodgers’ favorite targets, though he has dealt with both injuries and ineffectiveness over the last few years. The 2011 second-round pick out of Kentucky has registered 470 catches, 5,524 receiving yards and 41 touchdowns on 675 targets in his career, but he only posted 383 receiving yards last season after missing seven games with a hamstring injury. Despite the decline, Cobb will be missed in Green Bay. Cobb’s former quarterback took to Instagram to say an emotional goodbye. With the Cowboys, Cobb will likely try to re-establish his value while filling in a gap created by the departure of slot receiver Cole Beasley, who signed a four-year, $29 million deal with the Buffalo Bills in free agency. As another receiver who operates out of the slot, Cobb could be a natural replacement for some of Beasley’s routes. 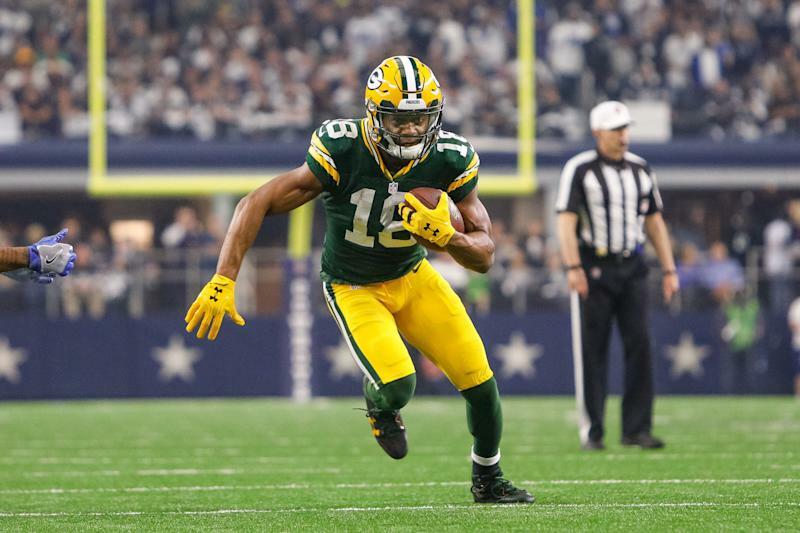 Cobb joins a receiving corps headlined by Amari Cooper, but he will also be competing for targets with 2018 third-round pick Michael Gallup, fellow slot receiver Tavon Austin and Allen Hurns, who suffered a gruesome leg injury in January’s NFC wild-card game. Could the Cowboys make another free agency move? While Cobb should bolster the Cowboys’ passing game assuming he stays healthy, he wasn’t the player some expected the Cowboys to makes news with on Tuesday. Former Kansas City Chiefs safety Eric Berry had a visit with the Cowboys set up for Tuesday, per Yahoo Sports’ Charles Robinson, but he has apparently come and gone without a deal. That isn’t an entirely surprising development, as it was also reported that Berry wasn’t expected to sign unless the Cowboys had an offer ready that would pay him like a top-end safety.